dialogs can all but be eliminated. In this lecture, we'll explore how and why. of view, it is not only possible, but quite reasonable. perfection level as the CPU. prevalent, though, than in the omnipresence of error messages. improve the quality of our interfaces by eliminating error message boxes. how else to create reliable software. programs can make a reasonable substitution. action and emits a bold "beep" is the appropriate way to behave. confused. Users make far fewer substantive mistakes than imagined. Typical "errors"
making the choices and effects clearer? issues the evil error message box. that the software isn't prepared to accept. shouldn't be a problem. The trick is to inform without stopping the proceedings. cities in America along with their area codes? expecting that the area code would arrive before its absence was critical. Los Angeles so the directory is ambiguous: The area code could be either 213 or 310.
meantime, life can go on. Again, squeals of protest: "But the area code field is only big enough for three digits! obnoxious, computer-like inflexibility supplemented with demeaning error messages? 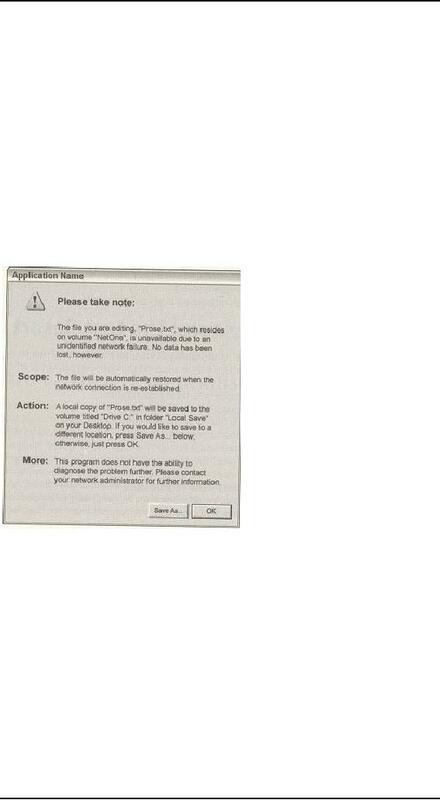 program to behave reasonably, not from any failure of the user. rather than in the terms of imperfect human behavior. wrong numbers -- which is a much more difficult design task. surgery instead of aspirin. We need to treat them as an idiom of last resort. the input is correct, simply because the human is more important than the code. world is more relevant and important than what the computer thinks. to enter a bad state. order in the world of software design. unwillingness of the program to deal with things in a human way. of miles away, back in the real world. approval, and that good feeling will be reflected back to the product. when you run out of other options. that is simply not true from the user's perspective. The customer is always right. responsibility to protect the computer from taking inappropriate action. lost, if any. The program should treat this as a confession, telling the user everything. how they, too, can be eliminated in most cases. ? eliminated in favor of more useful idioms. and not in a separate dialog box. should leave that operation up to the user. not at the expense of smooth interaction flow. trouble to deal with the plumbing. There would be consequences. enough. Putting up an alert to announce a requested action is pathological. be our phone book. It stops the proceedings to announce the obvious. this, we'd suggest that they seek counseling. decision it faces and uses a confirmation to give the user the choice instead. an inferior user interface. This means that confirmation messages are inappropriate. issues a command that is either irrecoverable whose results might cause undue alarm. user is not taken off-guard. will unilaterally insert buck-passing code in these places, almost without noticing it. user interface, but they are. THE DIALOG THAT CRIED, "WOLF!" decision about what to delete. on dashboards keep us informed of the state of our cars. 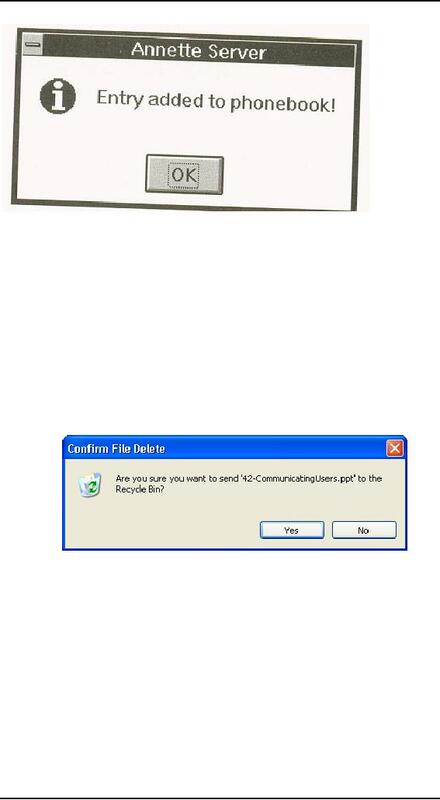 reason that the Recycle Bin exists is to implement an undo facility for deleted files. of communication that needs to be different. 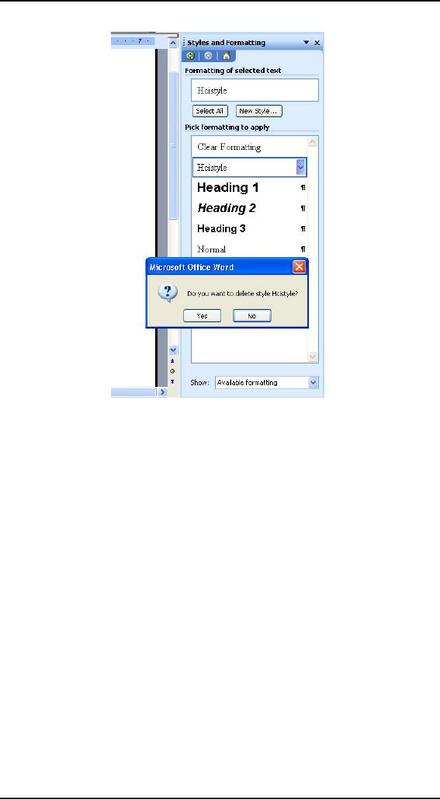 program or the user, and which can all but eliminate pesky dialogs.